At our Christmas tree farm, we grow Balsam Fir, the traditional Christmas tree with the fragrance that most families identify with Christmas. 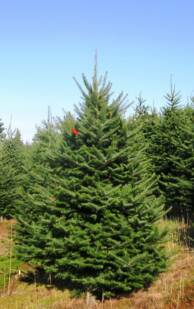 Balsam fir has a deep green color, scented needles, and conical shape. 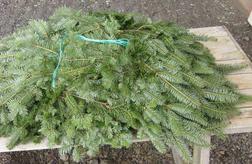 Nova Scotia have the perfect climate for Balsam fir with moist cold winters of -15°C temperatures and cool summers where the temperature seldom goes above 25°C. The tree is named for the balsamic resin found in blisters on its bark. Our Balsam fir is a native species of Nova Scotia. Seed from cones on mature trees is spread by the wind germinating in young wildlings that start growing in dense packs. We space the small wildlings with hand pruners and transplant some to open areas. Nova Scotia growers have been practicing this sustainable method for over 60 years. In addition to wholesale Christmas tree, we also supply extra income-generating products and packaging materials. In order for you to run an efficient and profitable operation we will supply you with "Plastic Netting" and Balers from Kirk. 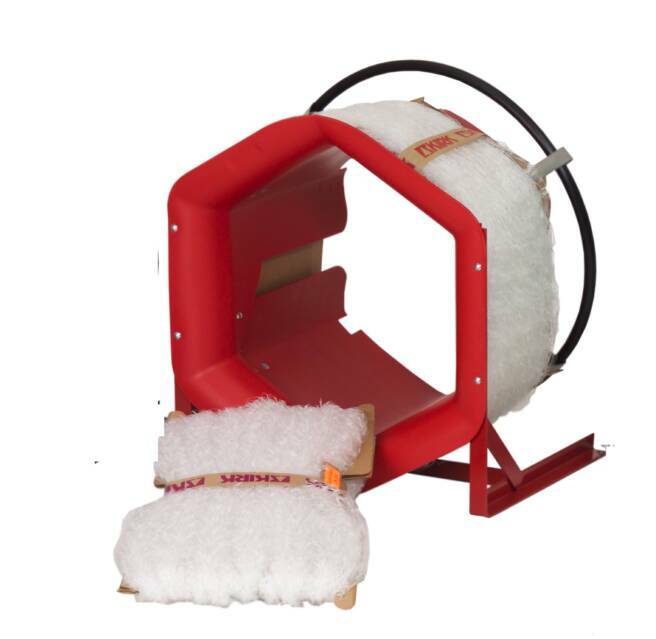 Our friends at Kirk state that "each baler has a slick interior designed to minimize friction and bale trees quickly and easily. 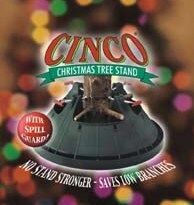 Trees are compressed by as much as two-thirds into a cone shaped bundle"
We also supply the "Cinco" Plastic Tree Stand in 4 different sizes. Our friends at Cinco mentioned that "The C-152 is our most popular item. It is designed to hold trees up to 8' tall (larger if attached to plywood using reinforced holes at outer edges of stand) and 6"diameter trunks. The low-wide reservoir accommodates low branches and holds 0.75 gallons of water to keep trees fresh and safe. Spill guard prevents over-filling mishaps." 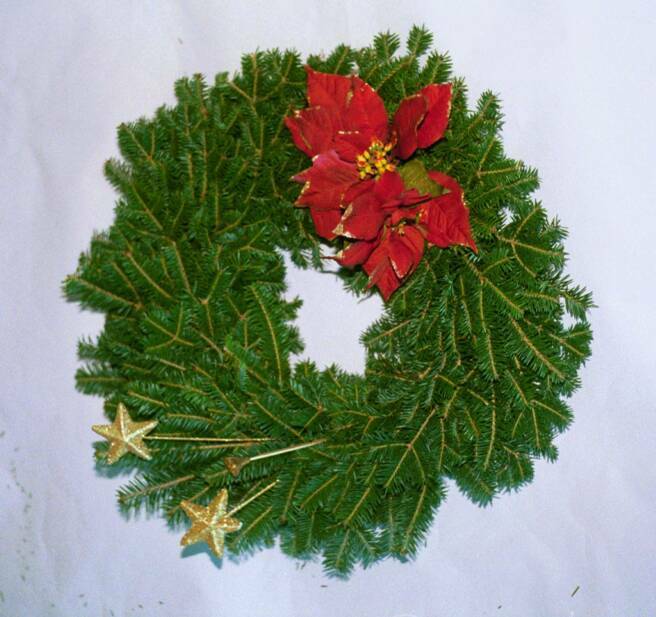 Our line of products is completed with our "Single Face" or "Double Face" Balsam wreaths. From 10 in. ring to 30 in. ring. Copyright 2011 Aroma Balsam Christmas Trees: Christmas Tree Farm. All Rights Reserved.